This Motorola C139 Manual and Users Guide is from Compare Prepaid Cell Phones.com. How do I turn my C139 on and off? Push and hold down the Red Power/End Key, directly to the right of the Round 4-Way Key, for four to eight seconds. How do I adjust the ringer volume? Push the left arrow of the Round 4-Way Key to lower the ringer volume. If you want your phone to just vibrate keep clicking the left arrow until it shows zero volume and vibrate. One more click to the left will turn off vibrate and it will be silent. How do I silence the ringer without answering? You can push the Red Power/End Key or the left soft key (Ignore) while the phone is ringing to disconnect the call and stop the ringing if you do not want to answer the call. This Motorola C139 Manual and Users Guide is from Compare Prepaid Cell Phones.com. Enter the numbers, then select the Green Send/Answer Key to the left of the Round 4-Way Key. How do I check my voice mail messages? Click the right "Soft Key" (right below the keypad) to go to "Messages" then click down to "Voicemail" and click. This will make a phone call to your message box. You will be charged for the minutes used listening to your voicemail. How do I check my Text Messages? Select the right "Soft Key" (right below the Screen) to go to "Messages" then click down to Text and click. You will see the start of the text message, if you click on the message you will be charged. How do I add someone to my phone book? Type the number you want to add in, click on the left softkey"Store" then select "Change" and add the name. Put in the area code so if you call them when you are traveling out of your area code you will still be able to use the auto dial. Select Menu to "Datebook" then go to the day you want to set the alarm and select "View" and then "New Entry". You have to put in a title, I just put in A, B, C anything, then adjust the time and save. Click on "Menu" then "Prepaid" and scroll down to "My Tel Number" and Select. How do I Check my airtime balance? Your airtime balance will show automatically on your screen unless you change it. Click on "Menu" then "Prepaid" and scroll down to "Airtime Tank info" and Select. This Motorola C139 Manual and Users Guide is from Compare Prepaid Cell Phones.com. How do I change the wallpaper on my phone? How do I use my phone as a flashlight? Click on "Menu" then go up 3 clicks and select "More" click down 3 to "Lantern." Select and your screen will go blank with the backlight on. Click the Red Power/End Key to go back to the main menu. How do I use the Stop Watch with Lap timer? Click on "Menu" then select "More" to "Stop Watch." When you want start hit "Start," even if the screen light has gone out and you hit "Start" the timer will start. You can push one of the number keys to turn the light back on. "Stop" and "Snap" are the two options. "Stop" will end the timing session. "Snap" will save the lap time. You can save up to nine lap times. You can not navigate away from the "Stop Watch" and leave it running. If you hit the Red Power/End Key you will go back to the main menu and the stop watch function will not save the time. Motorola C139 Manual and Users Guide from Compare Prepaid Cell Phones. How do I put my name in my phone so if someone finds it they can get it back to me? You can put your name and address or home phone or work phone number on a small piece of paper and then tape it on the back of the phone. Or you can put it inside the case next to the battery. The calculator works really well once you get used to it. Select "Menu" up to "More" select "Calculator". Put the first number in then use the left or right on the Round 4-Way Key to get to add, subtract, multiply and click select. Now put the second number in and click select. Your answer is in the window. If you want to clear this number use the left arrow to "C" and hit select. Motorola C139 Manual and Users Guide. This calculator is easy and fast to use. With a little practice you will find it quite handy. I use the calculator on my phone even when I have my computer on just because it is so quick. Motorola C139 Manual and Users Guide. How do I go back to the original Motorola C139 Manual settings? As I was writing this article I was unable to get my phone out of Itap entry. I could go to symbols, numeric, Itap French, Itap Spanish, Itap LA Spanish, Itap English but not back to the "Standard English Text" input. The only way I could get it to go back was to do a "Master Reset". I went to "Settings," "Other Settings," "Initial Setup," "Master Reset" and put in the security code. "1234" is the security code if you have not reset yours. Put this in and you have set the phone back to the original settings. You will not lose your phone book entries with the "Master Reset." Motorola C139 Manual and Users Guide. "Master Clear" is right next to "Master Reset" in the menu and will wipe all information you have entered into the phone. "Master Clear" will wipe out your phonebook entries. How do I lock my phone so no one else can use it? Click "Menu" go up to "Settings" go to "Security" go to and select "New Passwords." The default password is usually "1234" with Motorola. Put in the default password, then your new password, then your new password again. Now to set your phone to require the password every time you use the phone. Select "Menu", "Settings", "Security", "Auto Key Lock." I set mine to one minute delay so I do not have to put it in if I am making a couple of calls in succession. Now you will have to put in your password --a four number code-- to make a call. This will make your phone worthless if someone steals it. It will also keep other people from burning up your minutes without your permission. I highly recommend that you change the security code on your phone. This will keep someone else from going in and changing it on you. I would also recommend using the auto locking your phone. Then your phone will only be used when you authorize it. Motorola C139 Manual and Users Guide. Should I register my phone with Tracfone? run out.Yes I recommend you register your name and email with Tracfone for your phone. About once a month they will email you with specials on phones or on minutes. They will also email you if your phone activation time is about to expire. 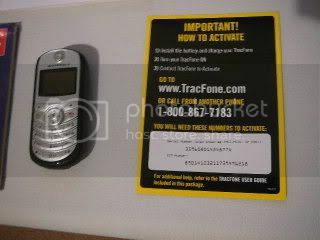 Go to the Tracfone.com Web site and register. Link from Motorola C139 Manual and Users Guide to Net10.com Latest Specials. Motorola C139 is the best Selling Tracfone. Check out pictures and features of the C139 at Compare Prepaid Cell Phones.com. MotorolaC139 Manual and Users Guide. 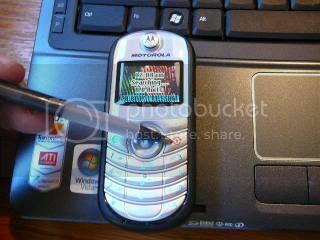 How to use your Moto C139 to text, call,Lock your screen, Add names to your phonebook and other tips. Motorola C139 Key Menu. 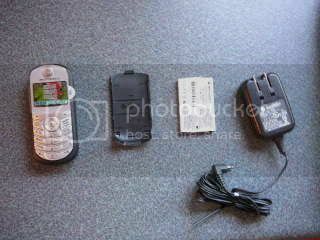 How to use the Tracfone and Net10 Moto C139 Menu. Motorola C139 Assembly is simple with out Step by Step Photos. Motorola C139 Activate, Quick and easy Net10 and Tracfone C139 activation. What Zip code Sim card Serial number to use?